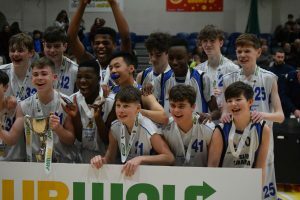 Sligo Grammar School has developed basketball as an extra-curricular activity in the past few years. Training is done after school in the school gym. This is a great basketball facility and all home games are played here. 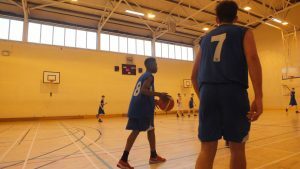 Basketball is a very popular sport in the school with students from various year groups competing for the school. 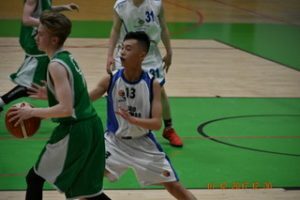 There are U19 (Senior)and U16 (Junior) teams for boys. There are also second year and first year teams. Girls are welcome to train but as yet there is not a sufficient number to form a team. 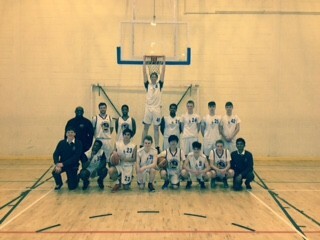 On Tuesday Jan. 23rd Sligo Grammar School emerged victorious in the U16 Basketball Schools All-Ireland Championship. 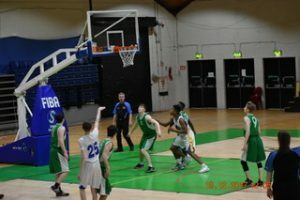 They beat St. Munchin’s, Limerick in an exciting match at the National Arena in Dublin. 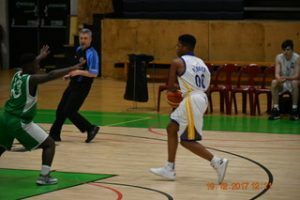 Coached by Anthony Flores, the SGS team put in a terrific performance, winning 50 – 43. 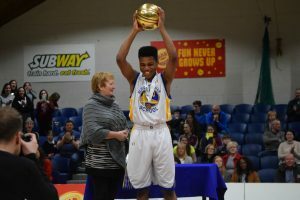 Divine Akude was awarded MVP (Most Valuable Player) for the match. The team was captained by Mark McGlynn and everyone played a blinder!! They were well supported by a bus-load of their classmates. Huge thanks to all who came to cheer them on and especially to Coach Anthony Flores for his hard work and dedication. 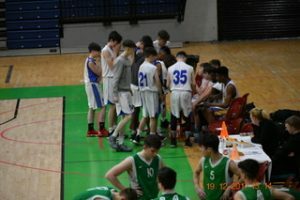 Basketball Teams have enjoyed a very successful first trem, not least the U16s who won the Semi-Final of the Hula Hoops Schools Boys 16 C Basketball Cup. 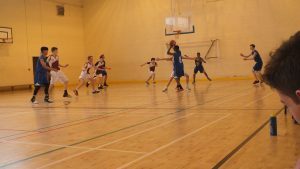 On December 19th Sligo Grammar School U16 boy’s basketball team matched up against the St Joseph’s, Derry in the Hula Hoops Schools Boys U16 C Basketball Cup. 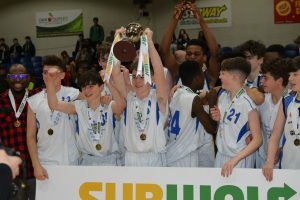 This was the first semi-final for any Grammar School basketball team since the senior team won the cup in 2007. 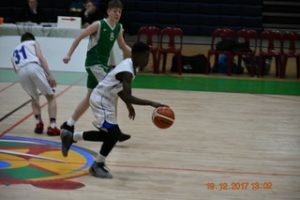 In what was an exciting game of underage hoops. 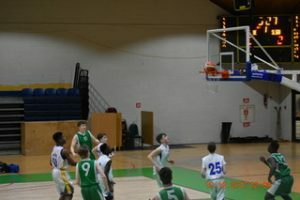 Sligo Grammar opened up the tally with a score from Mark McGlynn straight for the tip. 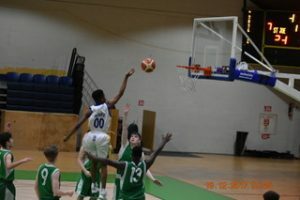 It was followed by a free throw and lay-up by Divine Akude. For the next 5 minutes each team was getting rid of its’ nerves turning the ball over continuously. St Joseph’s started to break down our defense with good drives and finishes and they were up 11-5 for most of the first quarter but we finally brought it back to 11-8. 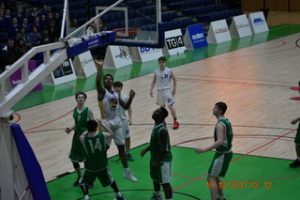 Sligo Grammar looked exceptionally strong in the second quarter with all of the scoring coming from Mark McGlynn and Divine Akude with a tally of 10 points between them. 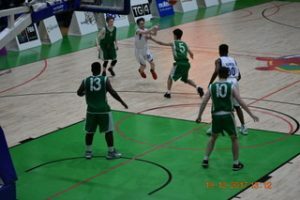 The defense was stepped up by the whole team, and St. Joseph’s only managed 2 scores for the quarter with a score of 18-15 to end the first half. In the 3rd quarter both teams battled back and forth and neither would give an inch. 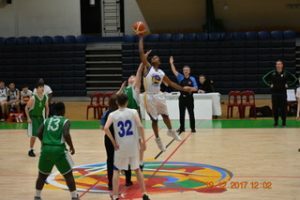 Although St. Joseph’s best player went to the bench with 3 fouls the team managed to hit a 3 and a couple of layups to give them a short lived lead which was erased by the scoring prowess of Divine Akude who gave St. Joseph’s a lot of trouble inside the paint with his athleticism. 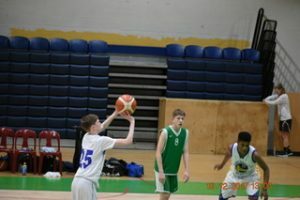 SGS player Mark McGlynn’s attack proved an asset to the team as he finished up the quarter with a score. Both teams finished the quarter with 11 points apiece. 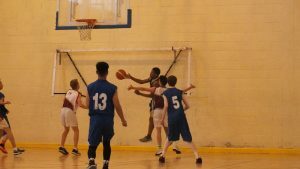 With the score at the end of the quarter being 29-26 in favour of Sligo Grammar School. 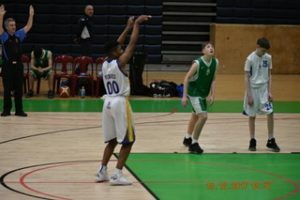 of the regional championship against Rosses Community School. 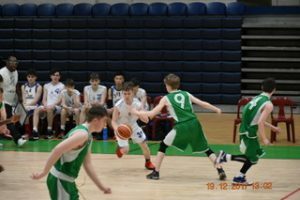 The Junior basketball team started off very well this season.They won every game in their regional group. They then lost in the final match of the regional finals. 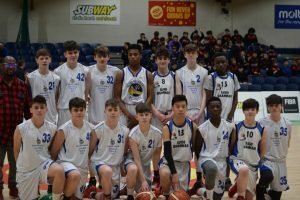 However, due to two teams from each region being allowed to go through, SGS Juniors made it to the All-Ireland Championships. Unfortunately they were knocked out in the playoffs. 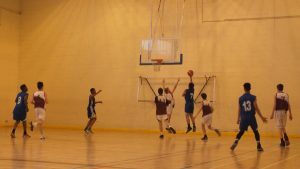 The second year basketball team won all their matches up until their final against St Geralds with a narrow loss of 5 points. 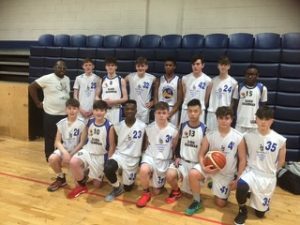 Unfortunately, after such a successful run, the Under 16s lost the Semi-final to St Joseph’s College Belmullet.